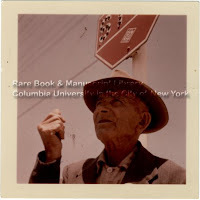 In the mid-1950s, Frank would travel throughout the United States to document the everyday life of Americans and would later publish those images as a publication: first in France in 1958 and then in the United States in 1959. The publication first premiered in France due to its raw and unflinching portrayal of an America that was a ethnically, socially, and economically diverse. It was as visually stunning as it was sociologically revealing, a combination that made The Americans an unrivaled artistic phenomenon. Jack Kerouac, then in his prime as a contemporary writer, wrote the introduction to the book and further cemented the publication as cutting edge. For the publication’s 50th anniversary, the National Gallery of Art in Washington, D.C. organized the exhibit that will premiere at the Metropolitan this week. It later traveled to San Francisco’s Museum of Modern Art. I viewed the exhibit in D.C. and was stunned by Frank’s project as a whole and the process involved in getting it published. At that time, I wasn’t aware of Schapiro’s role in Frank’s project, as the exhibition didn’t mention his name directly (although the exhibition’s publication certainly does). For the application, Frank asked photographers Walker Evans and Edward Steichen to write a recommendation. He also turned to Meyer Schapiro, albeit in a hasty manner. This entry was posted in Uncategorized on September 22, 2009 by Administrator. This is so for several reasons and let me unravel the thread a little to explain why. According to rule 2.3.18 in DACS, there are three predominant terms that can be used to signify the nature of an “archival unit” within a title. (These are examples from the DACS manual: “Coalition to Stop Trident Records,” “Mortimer Jerome Adler papers,” and “Semans family papers”). 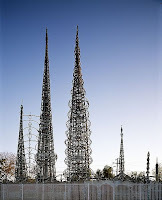 3) Collection–when describing an intentionally assembled collection. DACS rule 2.3.18 is applied to the highest level of the archival unit and each of the above terms include materials across media. In other words, regardless if the entire unit contains diverse mediums (traditional papers, electronic records, audio records, art works, etc. ), these three terms should be used to describe an entire unit. 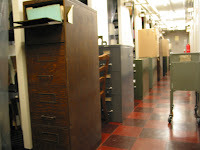 When the project began, the archival unit was known as the “Meyer Schapiro papers,” which would have been sufficient, but not entirely accurate. This is because the different units of the archive were not all part and parcel of the unit itself. Diverse components have been unified to form what is now the “Meyer Schapiro collection” housed at Columbia University’s Rare Book & Manuscript Library. This includes art works (nearly 3,000 individual items) given at a separate time from the bulk of the manuscript collection. There is also archival material housed at the Art History & Archeology Department that is now part of the “collection” itself. Thanks to DACS, the archival community now has a standard for making questions such as these easier to navigate and give these broad terms sharper focus. 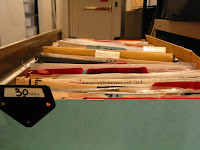 Now, the next step is creating a detailed description of the collection’s components and also providing contextual information on Schapiro to buttress the finding aid using Encoded Archival Description (EAD). 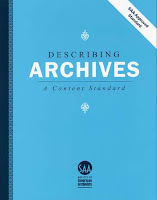 This entry was posted in archival collections, Archival unit, DACS, Describing Archives: A Content Standard, EAD, Encoded Archival Description, Titles on August 10, 2009 by Administrator. Artist Stuart Davis used color and form to wise effect, forcing upon the canvas a vibrancy that at times jumps a painting’s support. Davis was a painter influenced by the burgeoning jazz scene, and he sought to portray the canvas as a field of forms that mirrored the syncopation of jazz rhythm while also reflecting on the urban environment from which the musical genre sprang in New York City. Davis’s artistic career began early (he was the youngest artist to be represented in the infamous Armory Show of 1913) and changed as it reflected his growing maturation. 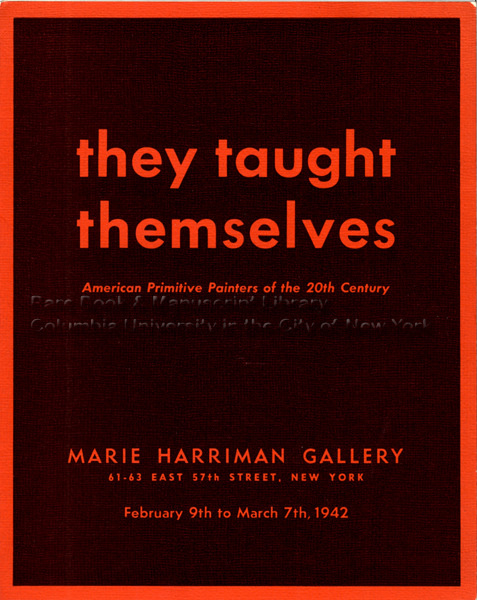 He began working under the artist Robert Henri and was influenced by the Ashcan painter’s use of realism. As the times began to roll and as history began to play itself out, Davis would abandon such realism in favor of abstraction to evoke the sociological and technological changes around the world. Davis’s fascination with technology is evident in two postcards he sent to Meyer Schapiro. One fashions the Empire State Building as a beacon of industrial life in a metropolitan city. To the left shines the mascot of human ingenuity, a skyscraper of steel. While, to the right, the city dweller’s life is compartmentalized to illustrate the sender’s emotion, feelings, and daily activities. Life, in this instance, is as ready-made as an assembly line. The other postcard, a TWA “Constellation” carrier in flight, can be seen as a skyscraper in the skies: a feat of human innovation aided by technological advances. But Davis, in all his admiration for technology, was also aware of the individual living in it. As Davis writes to Schapiro in 1952 about the latter’s work on the middle ages: “I [received] new information [regarding] the existence of the human individual in what had been an historical abstraction of monolithic sanctity, that is, the middle ages.” One can also argue that this is true of post-war America, where the individual became subsumed in an ever increasing world of mass production. Davis’s insistence on understanding the local environment is as evident in his politics as it is in his aesthetics: it is the inspiration and understanding that the local gives to the global. This entry was posted in American Artists' Congress, Armory Show 1913, Ashcan painters, Jazz, Meyer Schapiro, Robert Henri, Stuart Davis on August 7, 2009 by Administrator. Artist Alice Neel painted portraits of Meyer Schapiro twice in his life, once in 1947 and the other in 1983. Known for her expressionistic renderings of her subjects, Neel’s portraits sustain a deep gravitas towards the subject depicted. The portraits can be viewed on Alice Neel’s website. 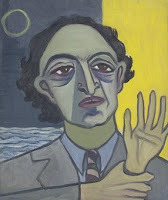 Neel’s 1983 portrait of Schapiro is part of The Jewish Museum collection in New York City. More information on that portrait can be found here. Incidentally, the Schapiro Collection includes a treasure trove of art works by Meyer Schapiro, including many self-portraits created while he was a student. Schapiro was a practicing artist his whole life. 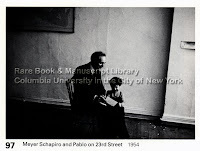 A publication, Meyer Schapiro: His Painting, Drawing, and Sculpture, chronicles his artistic output. 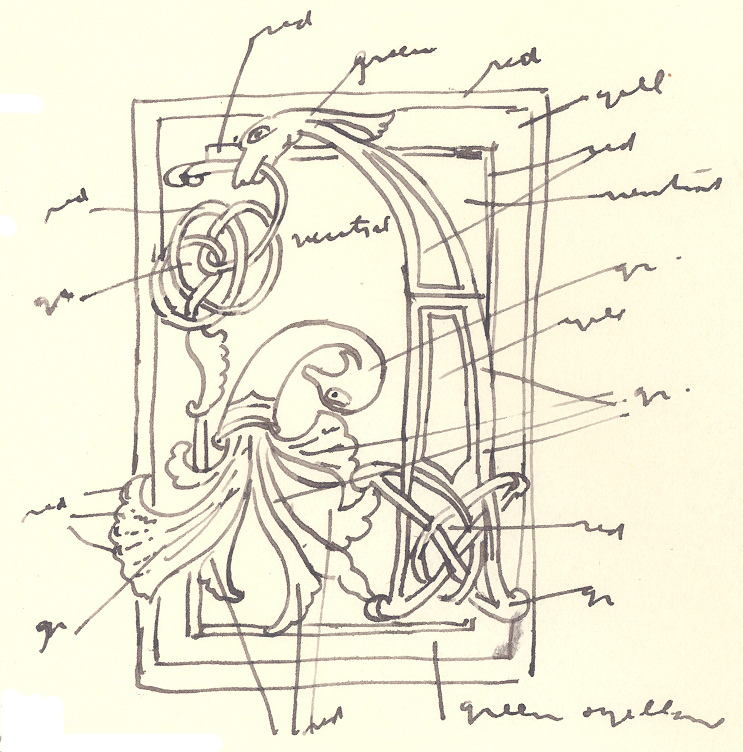 This image from the archive is a self-portrait Meyer created in the 1920s. This entry was posted in Alice Neel, Meyer Schapiro, Portraits, The Jewish Museum on August 4, 2009 by Administrator. 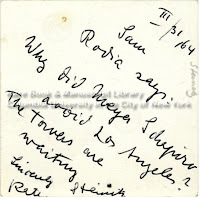 I recently wrote about a note in the archive from Frida Kahlo to Meyer Schapiro that includes traces of Kahlo’s lipstick. As an archivist, this naturally brought me to think about the preservation of the medium itself. I turned to Elizabeth Homberger, Assistant Conservator at the Natural History Museum of Los Angeles County, Los Angeles and Carl Patterson, Director of Conservation, Denver Art Museum, Denver, CO, for some sage advice on the stability of lipstick and what I should do to preserve this piece of history. Homberger and Patterson presented Kiss and Tell: The Conservation of Lipstick-Coated Art by Rachel Lachowicz at this years American Institute for Conservation of Historic and Artistic Works (AIC) session for the Objects Specialty Group. While Lachowicz uses lipstick and make-up on large scale sculptural pieces that, by comparison, dwarf the note from Kahlo in the archive, Homberger was kind enough to share with me several important and not widely known facts on lipstick’s long term preservation. Knowing all these helpful preservation tips will assure that Kahlo’s lipstick traces are well taken care. Perhaps these tips will also be of use to any lipstick treasures you might have. This entry was posted in Frida Kahlo, lipstick, preservation on July 23, 2009 by Administrator. I’ve walked the galleries frequently before, but did not really catch on to the fact that there is a Morris A. and Meyer Schapiro Wing. Needless to say, it is the Meyer Schapiro. The wing was dedicated in 1993 and was part of the museum’s Master Plan designed by the team Arata Isozaki & Associates and James Stewart Polshek. 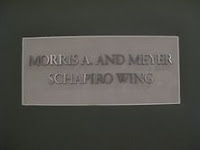 The wing was endowed by Meyer’s brother, the banker and financier Morris Schapiro. The brothers grew up in the Brownsville and Flatbush neighborhoods of Brooklyn where their father worked as a paper and cordage wholesaler. 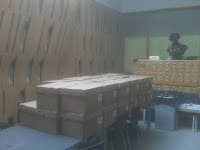 The history of the Brooklyn Museum’s building is extraordinary and well detailed on their website. It was designed by the architectural firm McKim, Mead & White and the museum’s archive has a suite of photographs available for view on-line. I have always been a bit surprised by the bizarre entrance to the museum and their website gives a tantalizing gloss about it. There was also growing interest in the 1930s in creating a more direct and “democratic” entrance into the Museum. In April 1934, while principals of McKim, Mead & White were out of the country, the Municipal Art Commission quickly approved the demolition of the monumental front staircase, greatly altering the architectural character of the Museum’s main facade. Sounds clandestine to be sure. Mckim, Mead & White were exponents of the Beaux-Arts architectural style so popular during that time. They also connect the Brooklyn Museum with Columbia University: Mckim, Mead & White also designed Columbia’s Morningside campus and individual buildings such as Low Memorial Library, Philosophy Hall, John Jay Hall, and Hamilton Hall on Columbia’s campus. 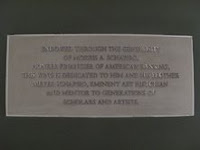 This entry was posted in Arata Isozaki and Associates, Brooklyn Museum, Columbia University, James Stewart Polshek, McKim, Mead and White, Meyer Schapiro, Morningside Campus, Morris A. Schapiro on July 15, 2009 by Administrator. Frida Kahlo‘s imagery is as mythic as her life and, without question, she remains a haunting figure in the art historical canon. Kahlo’s personal relationship with the artist Diego Rivera and the turmoil she experienced with physical and medical issues all compound to make her life story a truly evocative one. In all her posthumous fame and glory, we tend to forget that Kahlo was also a working artist. Even though Kahlo gained prominent and international recognition during her life, she, like most working artists, also relied on grants and fellowships for her artistic career. In order to complete her application, letters of recommendation were in order and Kahlo turned to Meyer Schapiro just for that reason. She is an excellent painter, of real originality, one of the most interesting Mexican artists I know. Her work looks well beside the best pictures of [José Clemente] Orozco and Rivera; in some ways it is more natively Mexican then theirs. If she hasn’t their heroic and tragic sentiment she is nearer to common Mexican tradition and feeling for decorative forms. While the note pictured above sent to Schapiro by Kahlo bears the trace of a kiss and comes from the same year as his recommendation, I can’t determine if this is a thank you note for that very purpose. However, it does demonstrate Schapiro’s commitment to fostering the work of artists. This stems from his own practice of the arts. Alongside his art historical work, Schapiro was also a prolific artist and the collection houses more than 4,000 of his prints, drawings, and paintings. 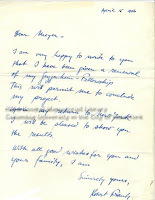 This entry was posted in Frida Kahlo, John Simon Guggenheim Memorial Foundation on July 7, 2009 by Administrator.